When it comes to eyeliner, I’m a big believer in blacker is better. If I’m just heading to the gym, or running errands, I usually reach for a chocolate or slate grey eye pencil, but if I’m going out, I love breaking out a liquid eye liner. 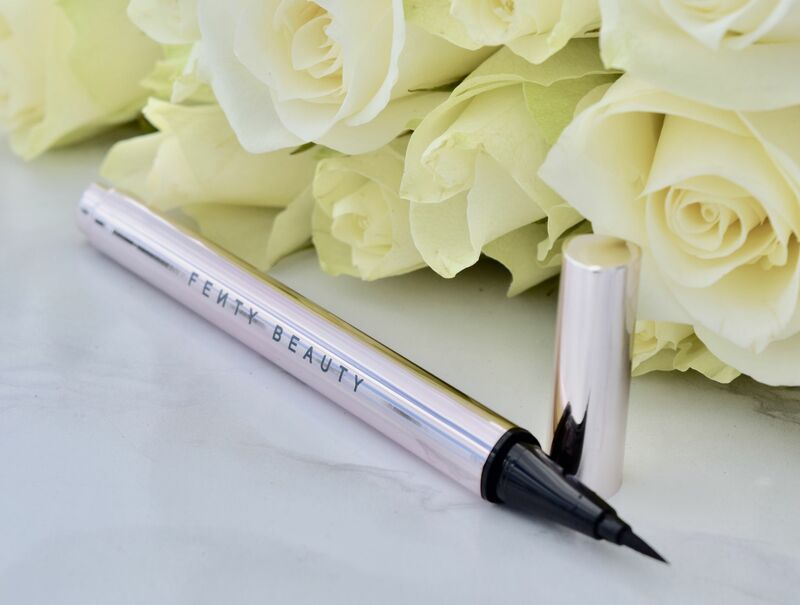 There’s nothing better than a perfect cat eye, but first, you need the perfect liquid eyeliner, which is exactly where Fenty Beauty’s Flyliner comes in. 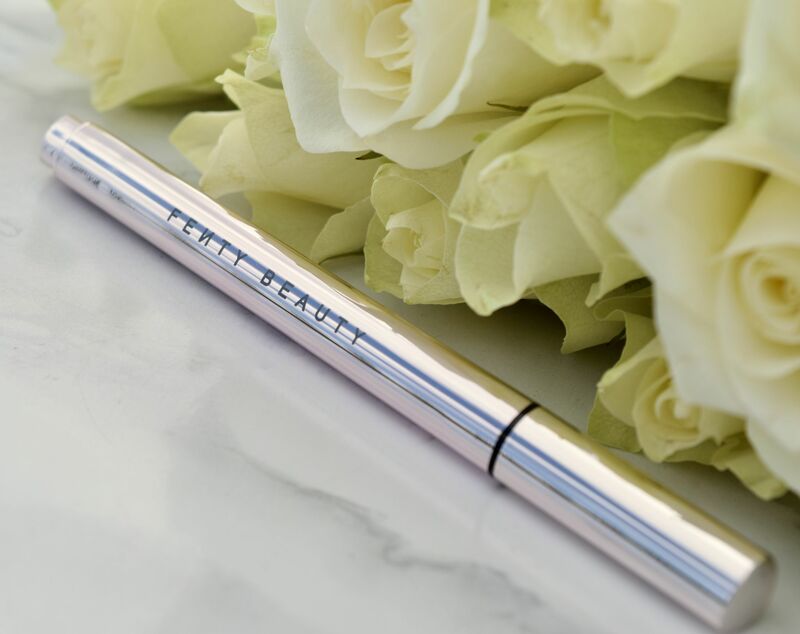 Released as part of the brand’s Moroccan Spice collection, the Flyliner liner comes packaged in a slick mirrored tube, and like all Fenty products, it looks dreamy. Available in one shade – Cuz I’m Black – the liner comes with a seriously pointed felt tip end, which makes achieving your desired flick an absolute doddle. 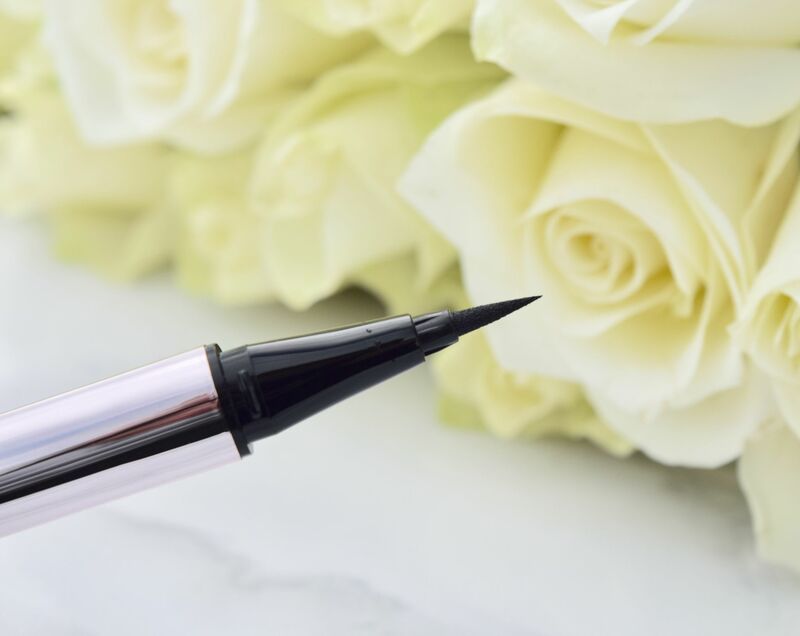 Described as ‘a hyper-saturated, water-resistant liquid eyeliner’ the formula mixes the ease of a felt tip liner, with the smoothness of a gel consistency. The result is an eyeliner which glides on, then stays put all day long. I absolutely adore how rich the black shade is – no wonder it’s one of Rihanna’s favourites! This looks good. I love a really dark eyeliner that doesn’t budge. Oh I’m so glad you like the look of it! It’s such a gorgeous product, and doesn’t move once it’s on!